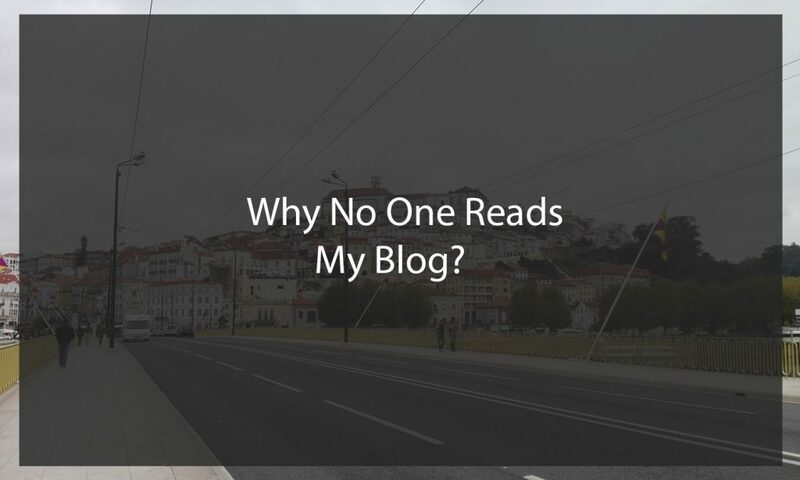 Find the answer for the question “why no one reads my blog” and identify common mistakes to improve your blogging audience below. In the world of online business, I believe most users deal with a bit (or a lot) of frustration before reaching their goals. Just like me, you probably have found yourself in a situation where you launched your online business, but no one visits it. And this is followed by questions: What I am doing wrong? What other online business have that mine lacks? So before we jump into the 10 tips to fix your blog and make people find it fast, let’s understand why no one visits it. If you just got your domain recently, even if you have amazing content, it will be hard to make it stand out. Most niches are pretty saturated, and even in the ones that aren’t, if your site is new it takes time for you to build a name. That is especially the case if you are focusing on organic search. Search engines consider a lot the domain age on their rankings. If your domain is new it also means that it has no backlinks, which is crucial for ranking high on Google. That is especially the case for ecommerce websites and marketplaces. If you just have products with thin descriptions, even if you have a lot of them, it will be very hard for users to find it. Regardless what kind of product you are selling, you will be competing with well established brands, and just having thin product descriptions will get you no visitors. If you are running a blog, expect writing a lot of content before getting the first organic views. Some niches are more complicated to get things going than others. Earn WP is a marketing blog, which is one of the most complicated niches to breakthrough. If you are starting something new and its your first online venture, I would strongly recommend an easier niche. A blog in a less competitive niche will rank much faster, and should bring the first profits in the first 3 months after going live. This is important as having a result will keep you motivated to make your website to grow. Having an free blog is definitely appealing, as you won’t pay for a domain nor have monthly hosting costs. However, if you want to build a brand and eventually live off this, establishing yourself as a brand with your own domain will be much easier. It is also much easier to control the analytics of your website if you have your own domain. The analytics are crucial for you to understand what works better, and therefore determine the next strategic moves of your business. It’s naive to think that anything will rank without SEO. That goes not only for websites, but also videos, apps, and product listings. You need to be seen first, that is your main goal. The key to success is to make sure people are able to find your content. SEO is rather easy, and with a few tools you can improve it greatly and effortlessly (almost). If you are doing something extremely specific, there might be not enough audience searching for it. Some great niches have low volume searches, but, at some least they exist. In some cases, even if your content is great and you rank high, you may continue without visitors. Make sure your niche is viable. Most websites with no visitors are in one or more situations mentioned above. Now we will approach each and every one of these issues to make sure your blog will start to be noticed. The good news is that once you built effective means to acquire traffic, it tends only to grow. As more users visit your site, odds are they will share the content, especially if it is remarkable. Apart from the 3 and 6 subheadings, all the other possible reasons are extremely easy to identify. Below we will analyze possible solutions and how they work for each and one of the reasons above mentioned. When you buy a new domain, even if you post a lot of content, it will take quite a while until you get the first organic visitors. That happens because most search engines consider domain age an important factor on the relevance of your site. In the past new domains could rank much faster than currently, but now search engines have changed the way they handle new sites. When a new site is up, normally you should not expect it to rank for virtually any keyword in the first two weeks. The results in the first two months are also unlikely to be impressive. Buy an Aged Domain: If you buy a domain that is for sale, and has a good backlink profile, it will be much easier to attract visitors to your website. The negative point of this is that most aged domains are, in my opinion, overpriced. Build a Natural Backlink Structure: Getting backlinks will make all the difference for your website to rank well. Make sure you build them naturally, as purchasing them is not only against most search engines policies, but in almost all cases they will be junk. Bad backlinks are definitely way worse than no backlinks, so make sure you get natural ones. However, building a natural backlink structure deserves a whole post on itself. I had myself the believe that, if I would put up a website with just a few pages, it would be enough to attract traffic. I had also the belief that these pages could have thin content, and it would somehow work. Why I had this belief? Because, once upon a time, it used to be so. Nowadays the situation is completely different, and the number of websites and posts grows every hour. What can you do to stand out in this infinite sea of content? One of the first things is to make sure your site is not empty. But how “full” should it be, in order to not be considered empty. There are three key factors that I would like to point here: quantity, quality and consistency. First of all, make sure your website has a reasonable quantity of pages or posts. I am not talking about thousands (although its not a bad idea). Any website, regardless of its topic, should have at least 15 pages. These 15 pages however, should not be thin in content. Pages which rank the first in search engines for every keyword have an average of 2000 words. The right amount of words will depend on the competition of your keyword, but anything below 300 words has little chance to rank well. I would recommend a minimum of 500 words for quality content. Images, charts and outbound links are as important as a high word count. This is a mistake that many newbie bloggers tend to make, and that is because the idea of blogging usually has similar origins. Although it is not always the case, there are two main reasons that drive the start of a new blog: Independence and Flexibility. Earning money online without having a boss is extremely attractive to almost any person. Let’s face it, there are a good chunk of the working class that hates their jobs. Blogging gives full independence and flexibility in terms of managing your time and being your own boss. That is just too appealing to be ignored. However, that leads people to create two types of blogs that are extremely competitive: travel blogs and make money online blogs. Those are probably the MOST COMPETITIVE niches, and I strongly disagree starting with them for your first blog journey. 1 – You want a travel blog. Travel is the main topic of your blog, but it is an extremely competitive niche. You need to narrow down your blog to have great chances of hitting an audience. So your blog can be about traveling to sea side. You can still narrow it down more to: travel to the best beaches in Asia. Another example: food blog. You can narrow it down to one pot recipes blog. You can narrow it to one pot diet recipes. It doesn’t mean that you should be strictly stuck to a very narrow niche, but it’s much easier to hit a top spot on SERP for something extremely especific than not. 4 Free Blog? Zero Money. Buy a Domain and a Hosting Plan. A free blog is not a brand. How many times did you visit a website again that was hosted on wordpress.com or blogspot? Another problem with running a free blog is that you most follow the TOS of the company that gives you the free space. In the case of wordpress.com, you are not allowed to use affiliate links if you have a free blog. A domain and a hosting plan are extremely cheap nowadays and will represent a brand that you can build and people will remember. If you ever get tired of it, you can sell your domain if it has a high page and domain authority. You can check our best web hosting plans guide here and start buy your domain and hosting today. 5 – Getting your SEO done. You don’t need to invest a single cent to get at least a basic level of SEO on your website. That will cost you just some time and the benefits are immense. 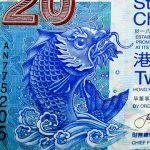 Lately I was working for a big Hong Kong based company and they have very very poor SEO. I can’t imagine a company that big with a huge staff not being able to make some basic SEO implementation. That point is basic the opposite of a saturated niche. If your niche doesn’t have a minimum number of users searching for those terms, it can be a problem. It may not be a problem if you are selling or promoting something expensive, where having one client a month will keep your business afloat. But it is a problem when you have a blog about different types of sidewalks. Not many people are searching for this, and from those who are searching, you will be unlikely able to convert your traffic into money. Recently I had a discussion with a friend. He is an idealist and wants to make the world a better place. But for most of us, the goal of a online business is to earn money (and eventually make the world a better place). Therefore, make sure your business is viable. To identify the number of searches for a given term per month on the internet, you can use the Google Keyword Tool. Just create a free Google Adwords account and use the Keyword Tool to know how many users are searching for a specific term over a given period of time. Contact us for a personalized assistance to identify problems and leverage your online business.